As the Windrush scandal shows, migration remains a faultline through this nation’s psyche. So it’s timely that Human Cargo hits the road next week. Why not join me and Jeff Warner as we take our story&song show round the country. 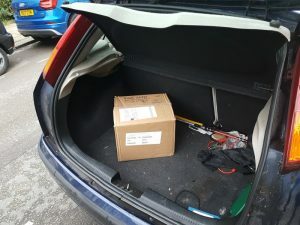 Check the route – maybe you have friends along the way who’d be interested to hear about it? 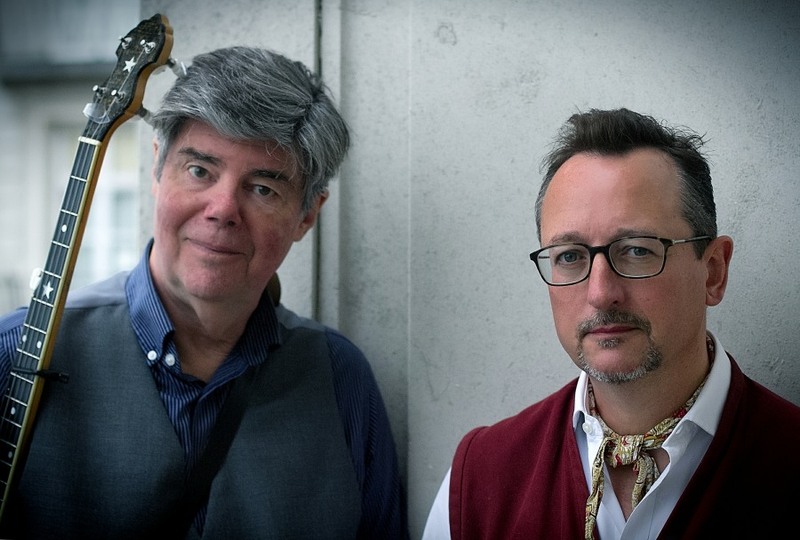 MAY 11 ST ALBANS Maltings; 12 BLACKBURN Mellor Brook CC; 13 SETTLE Victoria Hall; 16 CARDIGAN Mwldan; 17 BRISTOL St George’s; 23 TORRINGTON Plough Arts; JUNE 2 NEWCASTLE Gosforth Civic Theatre; 3 BEVERLEY East Riding Theatre; 5 LIVERPOOL Phil; 7 SHOREHAM Ropetackle; 12 EXETER Phoenix; 13 DORCHESTER Shire Hall; 14 HALESWORTH The Cut; 15 LONDON Kings Place; 16 MATLOCK Florence Nightingale Hall; 17 BEDFORD The Place. Tickets for London are selling fast – and we advise you to book soon elsewhere. Lots more about the show here. BBC R4’s Front Row came to record us working on Human Cargo. Here’s Jeff, just hours off a flight from Boston, doing some mighty fretwork. After months of collaborating long distance, it was great to put the show together, in the same room. This is an ambitious production. 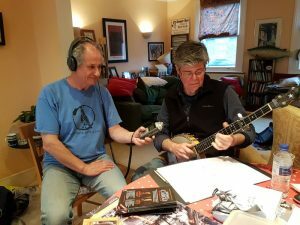 After all I’ve learnt on The Transports, and other shows, I’m keen to weave words and music in new ways … so Jeff and I work intuitively, telling stories together. Plus, believe it or not, there’ll be jokes. In a show about slavery and forced migration, we’ll include music hall, spoons, bones and other japery … and there’s religion too. We’ve got some old gospel songs of journey and redemption, so come prepared to sing along. I went to Bristol to make a short two-minute film about Human Cargo. Do take a look – and thanks to Kat Macaulay for filming it. 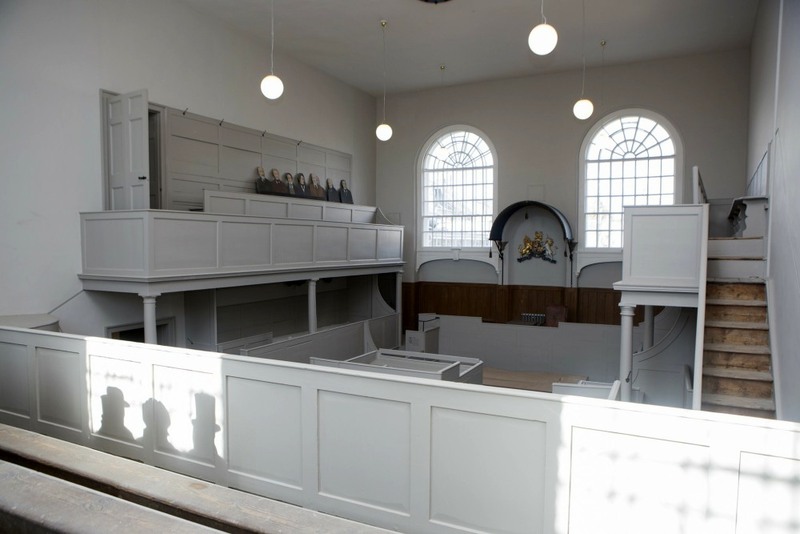 This is the actual courtroom in Dorchester, where the Tolpuddle Martyrs were unjustly tried in 1834. 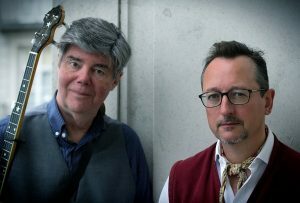 And on 13 June it’s the setting for Human Cargo – an ideal venue for Jeff and I to perform stories of transportation, slavery and emigration. They’ve just turned the Shire Hall into a venue/museum after a fab refurb. We can’t wait to play there. We’re playing other amazing places too. St George’s, Bristol on 17 May has one of Britain’s finest acoustics – and was a church attended by many wealthy slavers. On 13 May we play the lovely Victoria Music Hall in Settle and on 5 June we’re at the Liverpool Phil. I’m back to my old stamping ground in deep Suffolk at The Cut, Halesworth on 14 June (round the corner from where the story of The Transports started). We play lovely community centres like Blackburn and Matlock, local arts centres like Cardigan Mwldan, Beverley East Riding Theatre, Torrington Plough Arts, Bedford The Place and Gosforth Civic Theatre in Newcastle, plus I’ll be revisiting where we took The Transports to Exeter Phoenix and Shoreham Ropetackle. Next Friday 11 May we start the tour at The Maltings in St Albans – handy for Londoners who can’t make King’s Place. If you know anyone in these places who’d like the show, do let them know. Thanks! 25 different refugee support groups partner us on the Human Cargo tour – one or two in each town – as part of the Parallel Lives project. They’ll be there in the foyer at gigs, so you can learn about the amazing voluntary activity across Britain … collecting clothes for camps overseas … supporting Syrian families as they settle … or giving legal advice to asylum seekers. 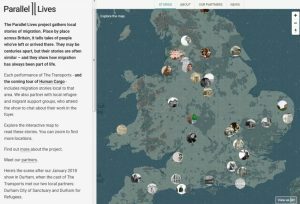 At the snazzy new Parallel Lives website you can meet the groups – and see local migration stories I’ve gathered town by town across the country. Plus, the tour builds up to Refugee Week (18-24 June). 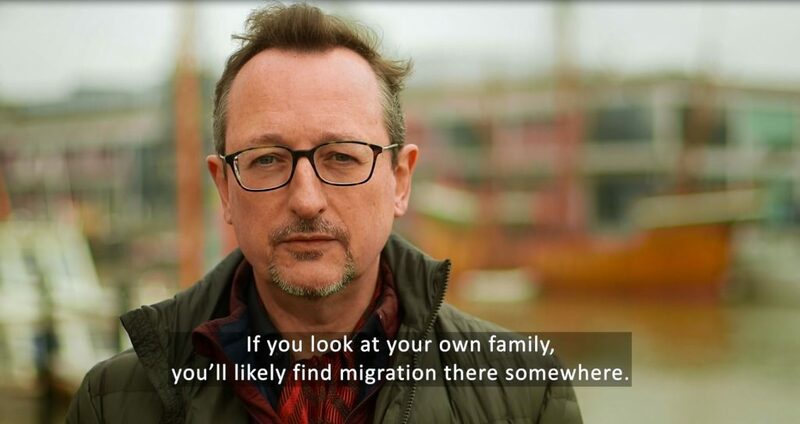 This annual celebration of all that migration brings to Britain has become a remarkable array of events around the country. We’re delighted to contribute to it. Are you going to Sidmouth FolkWeek in August? This seaside festival is always a joy … pasties & beer, swimming in the sea, sessions everywhere, a bit of fishing, and lots of good music. But it will be a bit busier for me this year, for I’m co-creating a show called Living By The Sea, which we’ll perform over two days at the Manor Pavilion. This involves Paul Sartin and Faustus, and a scratch choir, and me telling tales – like a Radio Ballads – with stories and songs all about coastal communities. May and June is such a lovely time in Britain. Enjoy it – and maybe I’ll see you out on the road somewhere. 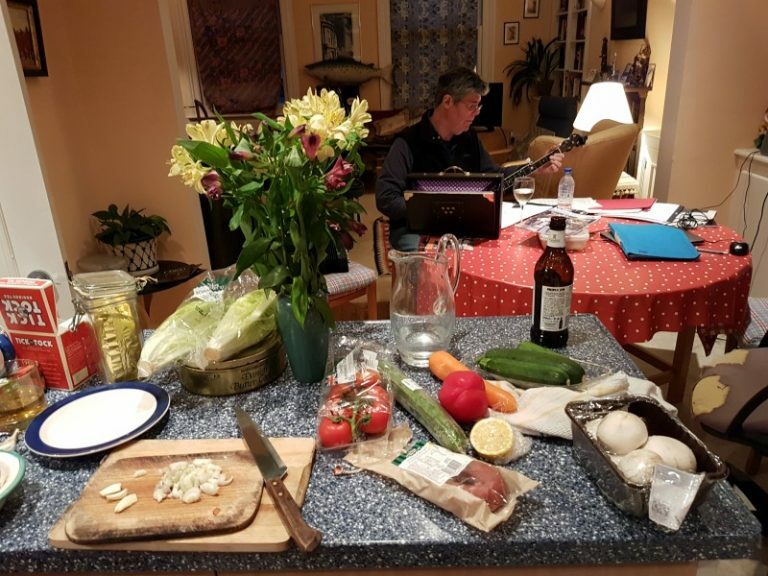 Trust me, cooking’s even more enjoyable when you’re serenaded by Jeff Warner on banjo. Good news. Next year I’ll be touring a new production of Human Cargo with the great Jeff Warner. It’s such an honour to share a stage with one of my heroes. He’s the real deal when it comes to traditional songs and he has this effortless way of a) taking you straight back to the 18th and 19th centuries and b) creating a lovely atmosphere at gigs. 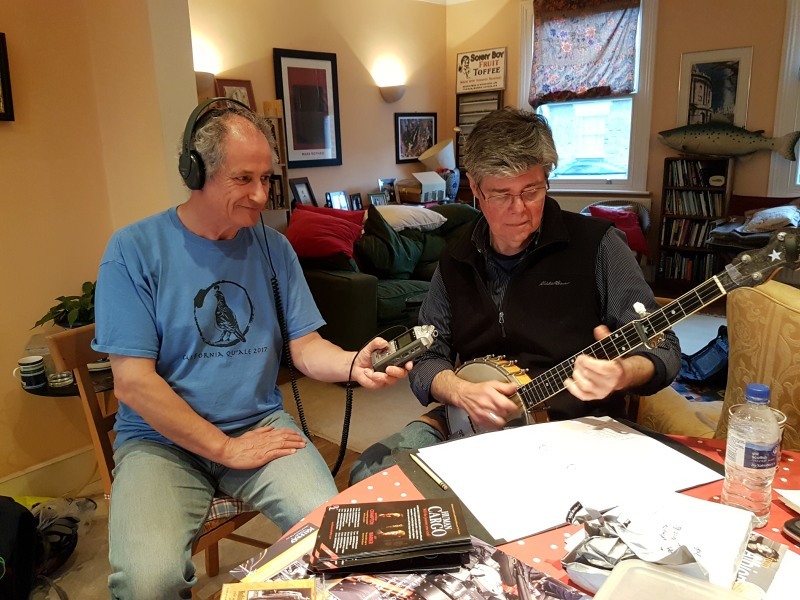 Thanks too to Alan Bearman Music for representing us. Maybe you know an arts centre, theatre or folk venue that would like Human Cargo? Do point them in our direction. I’ll be rewriting the show and including local stories for each venue in the form of Parallel Lives. So this should follow on well from the The Transports tour in January.